Frankincense essential oil (Boswellia carterii) has a deep, resinous, balsamic scent. It’s familiar and comforting, yet rare enough in daily life that smelling it makes the moment stand out. Frankincense’s ability to remind me that every moment is special is one reason I love it. Below, I’ll share some Aromatherapy recipes with Frankincense essential oil, and talk about the therapeutic effects it can bring to your blends. 1. Turn to Frankincense when you want to calm down and restore yourself after a long day. I like to make stock blends with Frankincense essential oil. If you make a single-use diffuser blend (about 5-10 drops of essential oil dropped right in your diffuser), and you absolutely love it, you can increase the recipe and make a small bottle of your blend. I use a 5 ml amber glass bottle, and I keep it right next to my favorite diffuser. Use 5-10 drops in your diffuser. This blend is resinous, with warm floral notes and a hint of bright citrus. All three oils are calming and reassuring—so this blend is the perfect companion for a relaxing evening! 2. Frankincense is a perfect essential oil for your yoga or massage practice. Frankincense is a resin produced by the Boswellia carterii tree when its trunk is wounded. The resin is brought from deep within the tree to seal and heal the wounds. I find that Frankincense essential oil brings this same quality to massages and yoga practices. During those times, we can access deep reserves of inner strength and heal in profound ways. Here’s a diffuser recipe that you can use in your massage room or yoga studio to promote this quality. Make the blend in a 5 ml stock bottle. Use 5-10 drops in your diffuser. Frankincense is also very supportive of skin, so it’s perfect for massage oils, too! 3. Frankincense hydrosols can help you calm and center quickly. Do you use hydrosols? Hydrosols are aromatic waters with therapeutic properties. 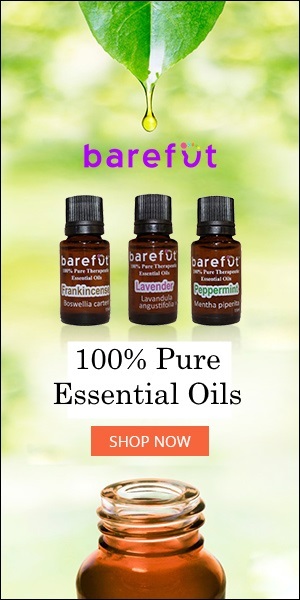 They’re excellent for those times when you don’t need the full strength of essential oil. Frankincense hydrosol is calming, centering, and skin-loving. There are so many ways you can use it! Spray it on your face as a toner after washing. Spray some on a washcloth and run it over your body right before you get out of the shower. Add a capful to your bath water. Body Spritz after your shower. Use it as a linen spray before bed. Spray it on your yoga mat before you begin your practice. If you start using Frankincense hydrosol, I bet you’ll come up with even more ways to use it every day. 4. Use Frankincense for meditation. Frankincense has a long history of use during meditation and rituals. So what better way to use Frankincense than as incense? There is actually a way to make incense sticks themselves, but if I’m short on time, I just add essential oils to ready-made blank sticks. That’s the method I’m going to share with you today. I suggest making one incense stick to start with. Then if you like the experience of burning it, you can make a small batch of them. One stick will take about 20 drops of essential oil. I use a long, narrow olive dish to make incense. I just lay the stick in the dish, drop the essential oils onto it, and roll the stick in the oils that fall in the bottom of the dish to soak them all up. If you don’t have an olive dish, you can use a piece of foil folded into a “V” shape. Just be sure to turn the ends up so your oils don’t spill out! Feel like you’ve made a new friend (or gotten to know an old friend in a new way)? I hope so! The more you blend with Frankincense essential oil, the more you notice nuances of its aroma and experience the variety of ways it has to support your well-being.